HOLLYWOOD – In the latest in our celebrated Making of… series, we look at the behind the scenes drama that went into the making of Danny Boyle’s cult hit Trainspotting. I’d been playing a doubles match with Alec Baldwin, Ridley Scott and Helen Mirren and boy does she have a powerdriver of a serve! I’d heard this book was great but I thought that I hated anything to do with Wales and the hobby of trainspotting seemed a dull subject to approach cinematically. 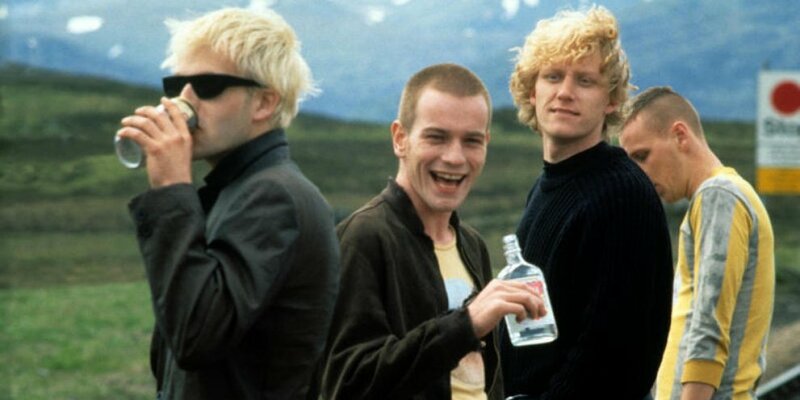 Little did I know that Welsh was actually Scottish and Trainspotting was actually about heroin. Ewan McGregor and Robert Carlyle were already on board and once the tennis ball was out I was raring to go. Filming often is very glamorous but I’m afraid Trainspotting was just as grim as it looked. Not only was it cold and our surroundings were often ugly but some of the cast were less than friendly. I had to do a series of films with a dead baby and Jesus the baby who played the dead baby was one of the most arrogant and self-involved people I’ve had the misfortune to work with. As for the infamous toilet scene… Danny thought it would be hilarious if everyone contributed to the set decoration, if you know what I mean. It wouldn’t be so bad but we delayed the shoot because of an electrical fault and this was the hottest July in recorded history. The music was very important to me and I had written the book with a playlist in mind. I was very into the Spice Girls at that period as well as Take That and New Kids on the Block, but no one wanted to hear me. Even to this day I can still hear some of those songs when I watch the film. Danny decided they didn’t go and he put the music in place. I was furious at the time, but I think in the end he was probably right.